Not all ingredients come pre-packaged. Across the country brewers take to the fields, their farms, orchards, the shore, and even backyards to find ingredients to add to their beer. From berries to mushrooms, wild-foraged hops, and common yard flowers, brewers are adding exciting aromas and flavors from ingredients that are found all around us. Join John Holl and a diverse group of brewers who will talk about how to find ingredients and properly incorporate them into recipes. Augie Carton, Brewer and Owner, Carton Brewing Co.
Ross Koenigs, New Product Research and Design, New Belgium Brewing Co.
John is an award-winning journalist covering the beer industry. He’s the author of several books including Drink Beer, Think Beer: Getting to the Bottom of Every Pint and The American Craft Beer Cookbook. 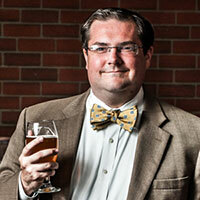 He is the senior editor of Craft Beer and Brewing Magazine and the co-host of Steal This Beer, a podcast. His work has appeared in the New York Times, Washington Post, Los Angeles Times, Wall Street Journal, Wine Enthusiast and more. 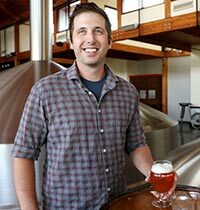 Ross Koenigs is the Research Brewer and Recipe Designer for New Belgium Brewing Company. Originally from the Milwaukee, Wisconsin Ross has been a Colorado resident for the last 7 years. He has a background in Chemistry and Anthropology and holds a Diploma in Brewing Science from the Institute of Brewing and Distilling in London. Ross focuses his time between new product development, creating products like Citradelic Tangerine IPA and Sour Saison, and raw material research. Nile Zacherle, Founder and Brew Master, Mad Fritz Brewing Co.
Nile began brewing at home in 1990, which pushed him to get a BS in Fermentation Science at UC Davis in 1997. While at UC Davis, Nile also completed the Master Brewers Program. 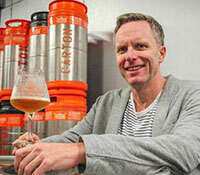 He began brewing and directing quality at Anderson Valley Brewing Company in Northern California. 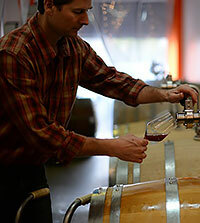 In 1999 he moved on to assisting winemakers in Australia, France and back in Napa Valley. Nile currently makes wine for David Arthur Vineyard as well as operating Mad Fritz Brewing Co.
Mad Fritz began in 2014 and was named after his two children Madeleine and Fritz. Their focus is on growing their beers by malting and brewing with a ‘Farm to Foam’ approach. The sourcing of single variety barleys that are craft-malted with an origin, as well as hops and water sourcing defines the beer styles in what they call ‘Origin Beer’. 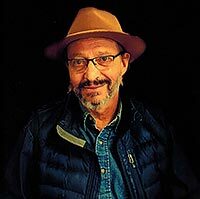 Dan Rabin is an award-winning beer and travel writer and longtime homebrewer. 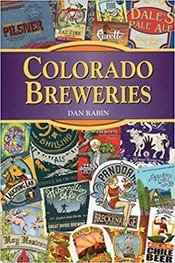 He is author of the guidebook, Colorado Breweries, co-author of the Dictionary of Beer and Brewing and contributor to the Oxford Companion to Beer. His beer-focused travel stories have appeared in magazines, newspapers and websites and have featured destinations in the U.S., Europe and South America. He’s been a homebrewer since 1990. His first homebrewing award was for a spruce beer brewed with spruce tips foraged from Colorado’s Never Summer Mountains. Since then, he’s gathered numerous awards in regional and national competitions. Have you ever wanted to create your own multi-course beer pairing dinner at home to impress friends and family? Or know what flavors pair well with your food so you can create something magical on your own? If so, this course is for you! Join Justin Wright as we venture into the world of beer and food pairings that you can do at home. You’ll go home with better knowledge of the 5 flavors we can taste and how to maximize your DIY beer and food pairings. There will be several example beer and food pairings provided. 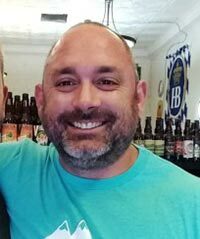 Justin Wright is a Certified Cicerone®, and former craft beer bottle shop owner. 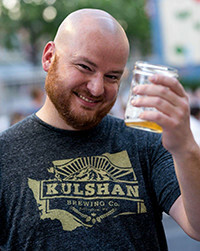 He’s helped design beer pairing dinner menus at various restaurants, has judged beer competitions and been on YouTube channels and podcasts discussing beer. You can also find him at Funkwerks hosting events like “Provincials on the Patio”, tastings and beer dinners. Justin Kruger was educated at Western Culinary in Portland Oregon. He began his culinary career at Red Star Tavern paying his dues flipping eggs. His hard work quickly paid off as he ascended to sous chef in just over a year. Justin had already discovered a love for craft beer by this time. While most of his peers were tossing back commercial light beers, Justin was enjoying the new world of craft beer. While working in Portland, Justin created a pairing dinner mixing craft beer, Oregon wine, and the cheese from Fiscalini cheese. This event was a highlight of his young career. Justin then moved to the heart of wine country and ran a Spanish tapas restaurant, La Rambla. While there, he continued to explore craft beer, while undertaking a crash course in Pinot. This education in wine helped develop Justin’s skills in food and beverage pairing. These skills were tested when he moved to Napa, California. While Justin was in Napa, he worked for nationally known chefs Jeremy Fox and Tyler Florence. Having a great beer community to draw from, Justin began to experiment more with food and beer. How to cook with beer, but also, what flavors and concepts match. Justin and his family next moved to Fort Collins to transition to a new path, and Justin now works for a local non-profit teaching at risk youth the skills needed to become the next generation of cooks.